APCC specializes in the measurement and control of air contaminants. Since 1988, APCC has assisted hundreds of companies in the Cement, Pulp and Paper, Waste-to-Energy, Printing and Coating, Power Generation, Manufacturing, Chemical/Pharmaceutical and many other industries to achieve their business goals by providing them with professional air pollution testing and engineering services. Our senior staff average nearly 20 years of experience in all aspects of air emissions measurement and control technologies. This experience working with a wide variety of industrial processes not only helps us address emissions testing and control issues from an objective point of view, but also allows us to analyze emissions data to discover hidden information that can turn environmental costs into bottom line savings. APCC has assisted clients from a wide variety of industries to maximize production while staying within the facilitys allowable annual emissions limits. APCC specializes in performance and compliance emissions measurements. Using EPA, ASTM, ASME, NIOSH and other approved protocols, APCC can determine emissions of toxic substances as well as criteria and priority pollutants. In the absence of applicable approved methodology, APCC has integrated published sampling and analytical methods and developed new methods to provide clients with accurate and reliable data. APCC regularly certifies NOX, CO, O2, SO2 and VOC analyzers following the procedures contained in 40 CFR Part 60 and 75. We have performed Relative Accuracy Test Audits (RATA) and Cylinder Gas Audits (CGA) for hundreds of industrial clients and many public utilities. Our integrated data collection equipment allows us to quickly and accurately verify the compliance status of the emissions monitors and to generate reports to management and regulatory agencies. APCC can provide meteorological and ambient air quality monitoring and related services. Our experience allows us to develop cost effective solutions using traditional and state-of-the-art technologies for fenceline monitoring programs at industrial facilities and hazardous waste site clean-up sites. The staff at APCC are experienced in the measurement and control of fugitive emissions. From emission factor development and quantification of fugitive emissions using a variety of standard and innovative methods to developing control strategies, APCC has assisted industrial clients address the complex issues associated with fugitive emissions. APCC is experienced in all phases of trial burn planning and execution for commercial incinerators as well as Boilers and Industrial Furnaces (BIF). From development of the sampling and analytical matrix to performing waste stream and emissions testing to final data reduction, validation and reporting, our experience managing trial burn projects allows us to meet project requirements in the most cost effective manner possible. APCC performs process optimization and performance guarantee tests on process and air pollution control equipment intended to assist our clients to increase productivity and reduce operating costs while satisfying air contaminant emissions limits. Development of a complete and accurate emissions inventory is one of the first steps to ensure regulatory compliance. Our staff will work with you to review pertinent information including Material Safety Data Sheets, SARA Title III reports, shipping and inventory records, and usage data to determine total toxic emissions. Confirmation testing can be performed, if warranted, to further quantify or precisely locate emissions sources. APCC has extensive experience assisting industry evaluate VOC control device capture and removal efficiencies. The staff at APCC have extensive experience measuring Hazardous Air Pollutants (HAPs). 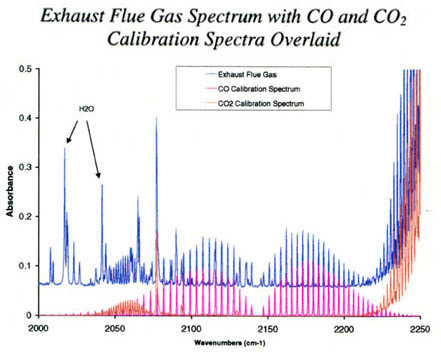 In addition to utilizing traditional methods and instrumentation, APCC is an industry leader in the application of Fourier Transform Infrared (FTIR) spectroscopy for the measurement of HAP emissions. The high resolution and broad spectral range of modern FTIR spectrometer systems make it possible to measure large numbers of compounds simultaneously in gas samples. 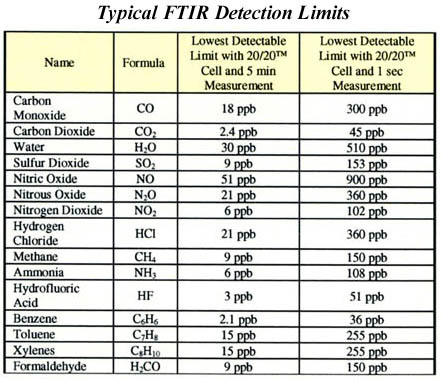 Sensitivities exceeding those of EPAs gas chromatographic Method 18 are commonly achieved, and FTIR offers superior compound identification. Many air pollution sources are unique and standard sampling methods and analytical protocols are not appropriate. APCC has the experience to develop a sound and cost-effective method of sampling and analysis to satisfy regulatory requirements. The staff at APCC have assisted in the development and modification of many proposed and promulgated EPA reference methods.